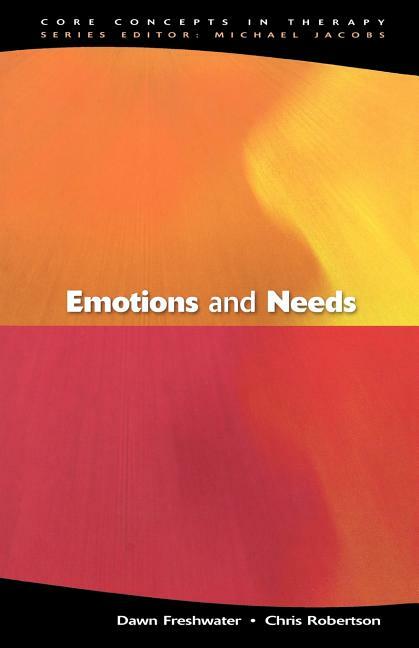 Through the centrality of the concepts of needs and emotions, this volume describes and discusses issues that are fundamental to psychotherapy. As an alternative to classifying modalities of psychotherapy (and the way in which they understand needs and emotions) by their author, era or underpinning philosophy, this book focuses instead on the emotional patterning of psychotherapy. The book explores need and emotion in relation to what patients bring to therapy and what subsequently facilitates effective engagement. Examining ways of understanding the manifestation of needs and emotions, the authors bring differing therapeutic schools of thought together in contemporary models of integrative psychotherapy which draw upon the transpersonal, postmodern and poststructural. The book is illustrated throughout with clinical vignettes which help the reader ground the theoretical concepts in everyday practice. The discussions in this volume not only add to the current body of knowledge surrounding the fundamental concepts of emotions and needs, but also make a long overdue contribution to the psychotherapeutic professions. Emotions and Needs will be of interest to students and practitioners in fields such as: counselling, psychotherapy, clinical psychology and social work. Dawn Freshwater is a registered psychotherapist, supervisor and Course Director, University of Nottingham. She has worked as an integrative psychotherapist, trainer and supervisor with individuals in private practice, in the British National Health Service and in the armed forces. She completed her PhD in 1998 which explored the transformatory nature of the therapeutic relationship, she has spoken at numerous international conferences and is well published in both the UK and North America. Chris Robertson is a registered psychotherapist, supervisor and trainer of psychotherapists working in several European countries. He is the co-founder and director of Revision, the president of the European Association for Integrative Psychotherapy and acts as a consultant to other training organizations nationally and internationally.